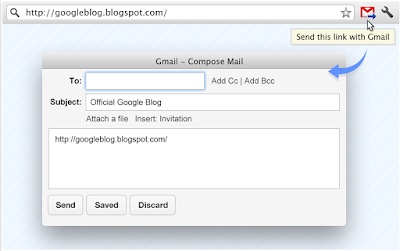 Send from Gmail is one of our favourite Chrome apps we have been using for some years now. Send from Gmail provides you with a quick way to share web links and other online resources with a single click. For instance, if you are reading a blog post that you want to share with one of your colleagues, you simply click on ‘Send from Gmail’ button and a new compose window will automatically open with the page title as the subject and selected page text and link address as the message. All you have to do is to simply type in your addressee’s email and hit ‘send’. Another way to use Send from Gmail is to send yourself emails with links of pages you want to read later. This is especially useful for those of you who are not big fans of social bookmarking websites such as Diigo or Delicious. 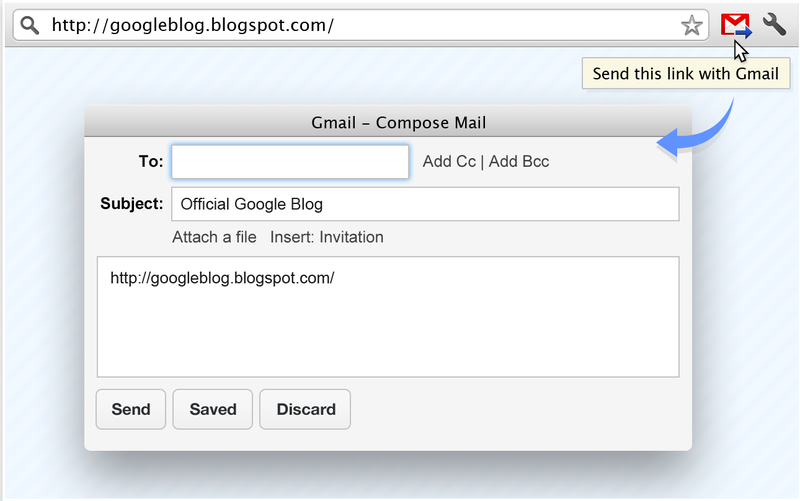 To start using Send from Gmail, you need to install it on your browser. Once installed the popular Gmail envelop icon will show up at the top right of your browser. Whenever you are on a webpage you want to share with others, click on that icon and there you go.